Installments are a payment plan applied on a purchase. Rather than paying outright, Latin Americans have a strong preference to pay for a purchase in parcels spread throughout the year. When it comes to online shopping, the trend is similar to the overall use of installments in the region. 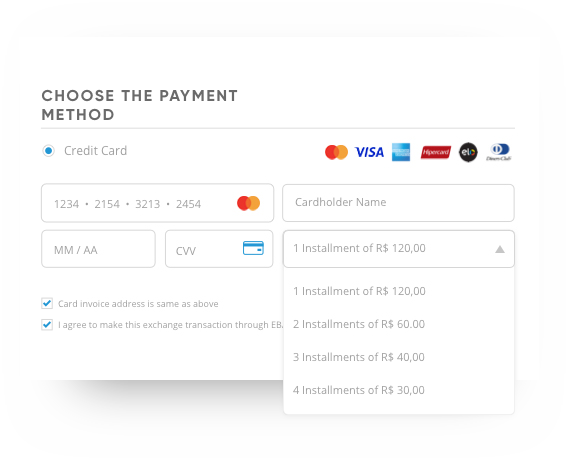 of ecommerce in Brazil is done via installments. of Brazilians believe paying in installments is the only way for them to have the desired product. Adjust the number of installments to the total amount of a purchase in order to maximize the benefits of installments, that is, increasing the number of installments as the purchase amount increases. Why will Installments increase your sales? Make expensive goods and services available to Latin Americans. Break Credit Card low limit barriers. Interest-free: you can choose between pay for interests and give the best experience to your customer, or charge a little extra fee from them when they opt for installments. 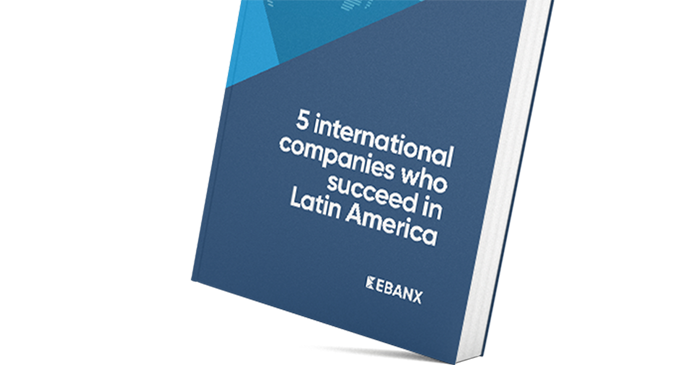 "By understanding that Brazilians need (and love) installments, we co-sponsored EBANX for a 30-day installments campaign, interest-free. The results were amazing: 15K new customers, 22K transactions and a 280% goal achievement." They split the payment, you get it all at once. With EBANX, you offer your customer the flexibility to pay over a chosen period and receive your money all at once in your bank account. Installments will allow LatAm customers to split the total amount due to monthly payments that fit in their budgets. The perfect interest-free solution for you to increase your conversions in the region. Where are Installments available in Latin America? When using Credit Card, the customer chooses installments as their payment method. The transaction is authorized and captured for the full amount, but settled in installments over a period of time*. Installments are debited from the customer monthly, by their card issuer, and you receive all at once. *The maximum number of installments can vary for each country and can be previously stipulated by you.